If AMC's corporate strategy has embraced a single ethos over the last few years, it's that more people watching is better, period. So it's probably not a surprise that the network elected to release the premiere episode of its new drama Halt & Catch Fire, a period show about the competitive 1980's personal computing scene, on Tumblr (yes, the window it plays in is small, but the video is actually hi-res). The head of the network group, Josh Sapan, has been voluble about the virtues of last-season content on Netflix even as competitors have looked askance at the rapid rise of streaming video. Sapan claims that the network's shows are successful as a direct result of that strategy. "New viewers are finding these shows on a digital service, catching up on prior seasons and then tuning into AMC for new seasons in greater numbers, many for the first time," he told investors in 2012. As we've observed recently, content costs to Netflix are astronomical and climbing, but networks can be reasonable with the fees for their IP if it looks like distributing old episodes is going to drive live, ad-supported viewership. But of course, there's video all over the Internet, not just on Netflix, and with Tumblr, AMC is expanding into a publicly available site open to anybody who feels like capturing its expensive video content and pirating it. But it's also made that a useless enterprise—what would be the point? It's free and ready to watch without any shady peer-to-peer download services or virus-laden streaming sites. This isn't quite the first time something like this has been tried—Adult Swim put up on Instagram an episode of Rick & Morty that was basically a series of brief gags strung out over 22 minutes—but it isn't a joke, and it isn't behind a paywall. We don't know whether or not other networks will follow suit, but we do know that The Walking Dead is one of the biggest shows on TV. 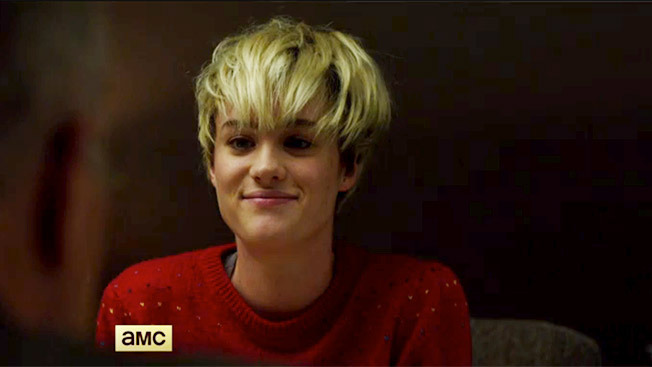 If AMC manages to push out Halt & Catch Fire at a level anywhere close to its big hits, expect to see a lot of imitators flooding the market with publicly available video. The show premieres Sunday, June 1. Tune in here on Monday the second to see what the ratings look like for linear.